December is all about Frankincense in doTERRA land, as this month we get to celebrate THE KING OF OILS by getting the chance to earn a $97 bottle for FREE. 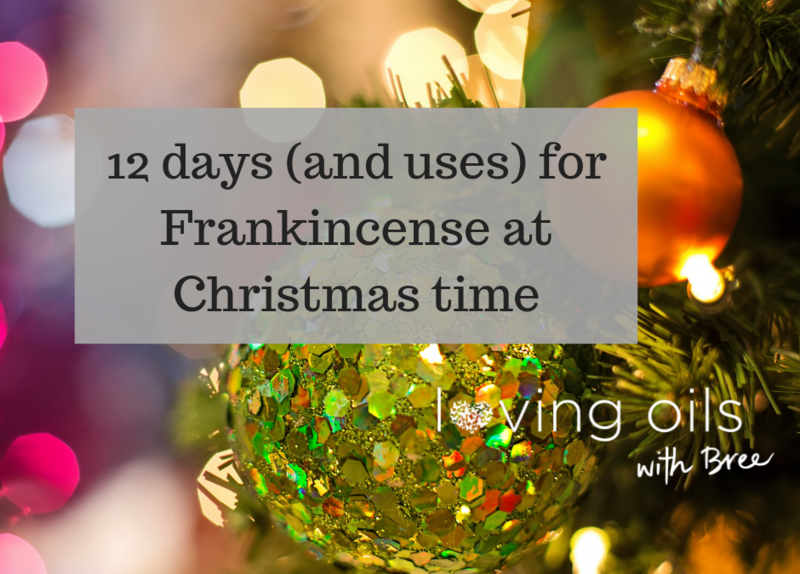 With its highly prized properties Frankincense is known as an amazing oil for skin and beauty health. It is also amazing for soothing discomforts, calming emotions and helping the body achieve wellness at a cellular level. With Frankincencse it really begins from the inside out. 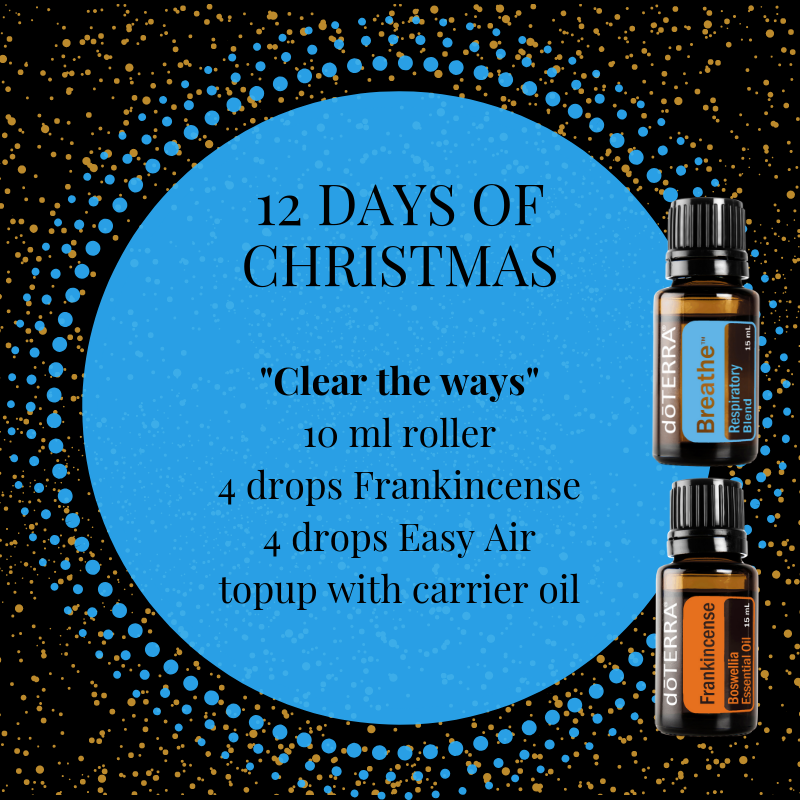 In honour of this amazing oil, here are 12 recipes (for the 12 days of Christmas) plus a few other tips on how we use Franky boy. 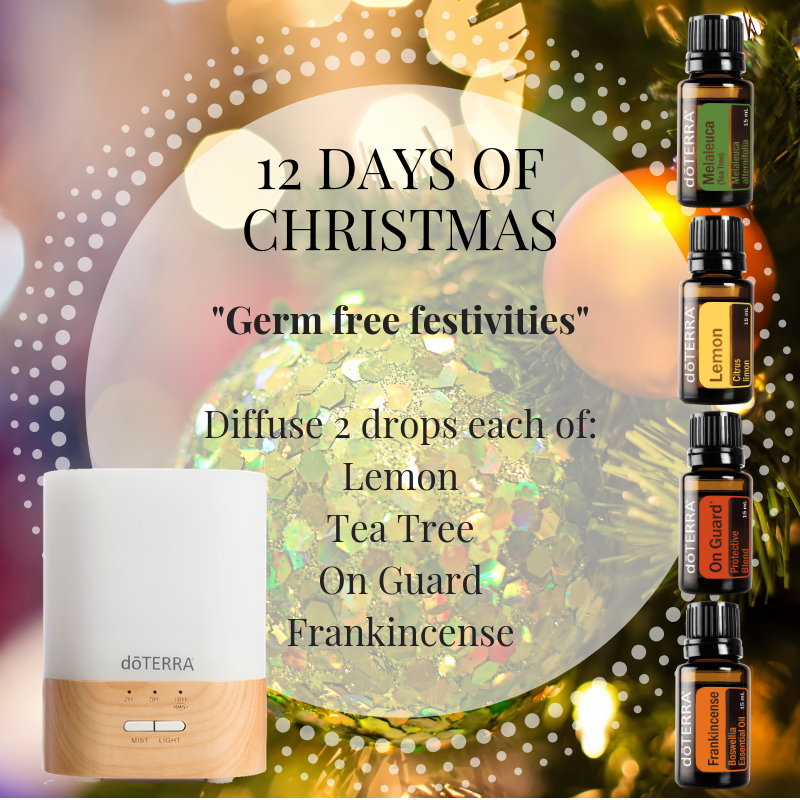 Keep everyone healthy and germ free with this diffuser blend! Keep those airways flowing nicely at night (or day) with this topical blend. Apply to chest, upper back and wrists area as often as needed. Can also be used as a diffuser blend. 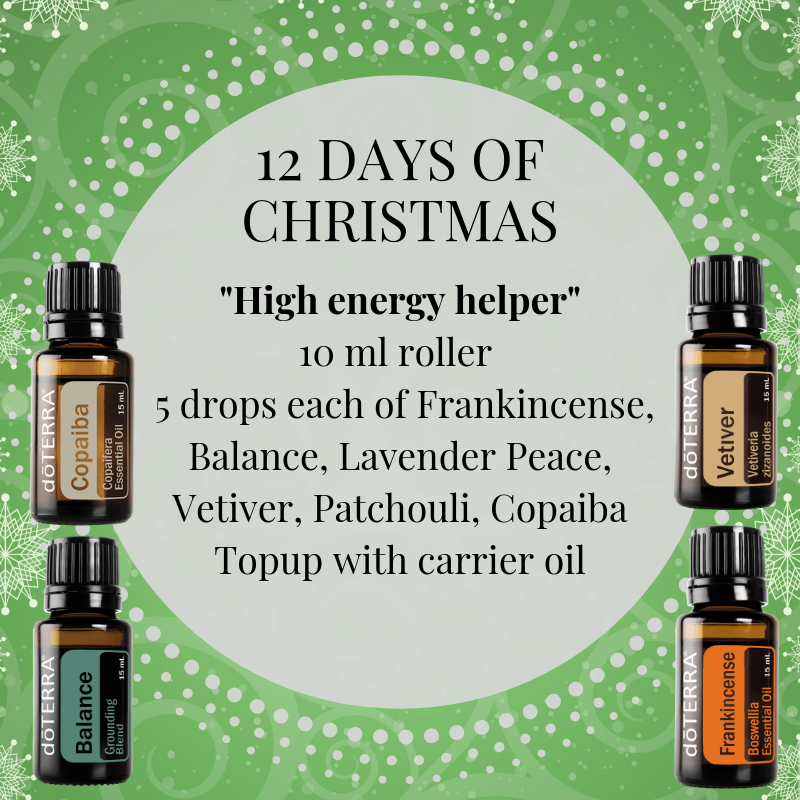 If someone needs some energy calming, bring the vibes down with this soothing anytime roller blend. Best applied to the pulse points, back of neck / under ears and on the chest / heart area. Reapply as often as needed like a Chill Pill! Stimulate creativity connection and fun with this diffuser blend. 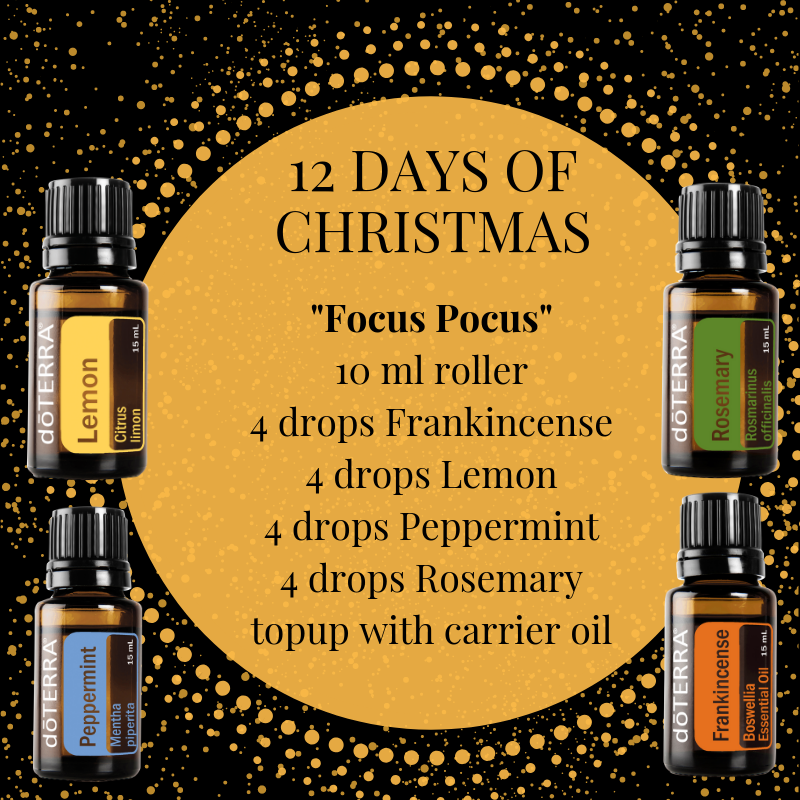 Great for setting up the Christmas tree, decorating the house or anytime the vibes could be more connected and playful. Bring clarity, focus and a mentally crisp energy to your mind and body. Apply this roller blend behind the ears, on wrists and around heart area as needed. Can also be used as a diffuser blend. 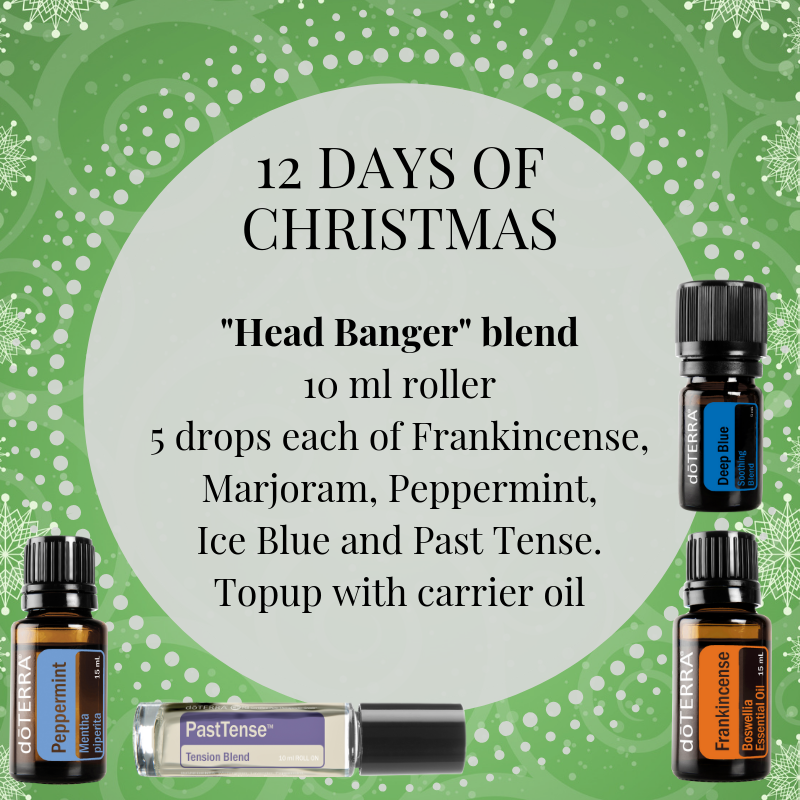 Soothe those tense muscles or a raging head with this blend. Apply topically to the areas of concern (eg. neck and shoulder muscles). Note this is a strong blend with adult dilution. When the kids go OUCH this spray is your friend! It will gently soothe the skin and disinfect the wound to encourage healing. Reapply regularly after a fresh cut, graze or wound. Create a chilled out Day spa vibe so everyone can have fun with ease with this diffuser blend. 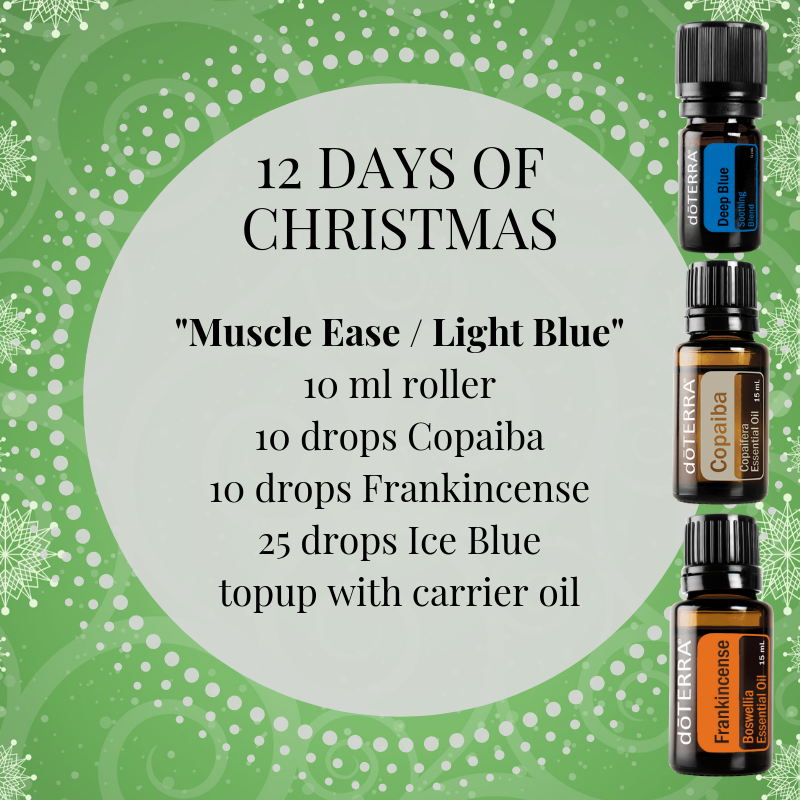 This blend referred to a Light Blue is your sore muscle helper. Apply topically to area of concern and re-apply as needed for fast relief. Note this recipe is a strong adult dilution. This roller blend will support the entire body to be at its best while offering calming releif to frayed nerves. Apply to the spine, back of neck and bottoms of the feet regularly. Or rub between the hands for an earthy calming aroma. Diffuse this trio for calm, joy and peace. 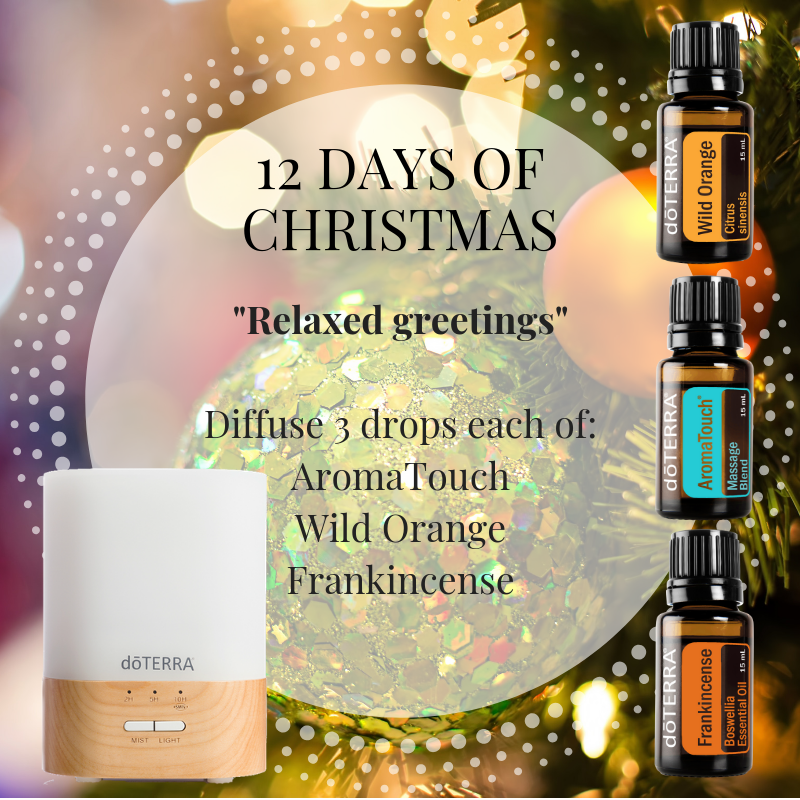 The aroma is divine and the combination is both soothing and uplifting making this an all round great everyday use diffuser blend. 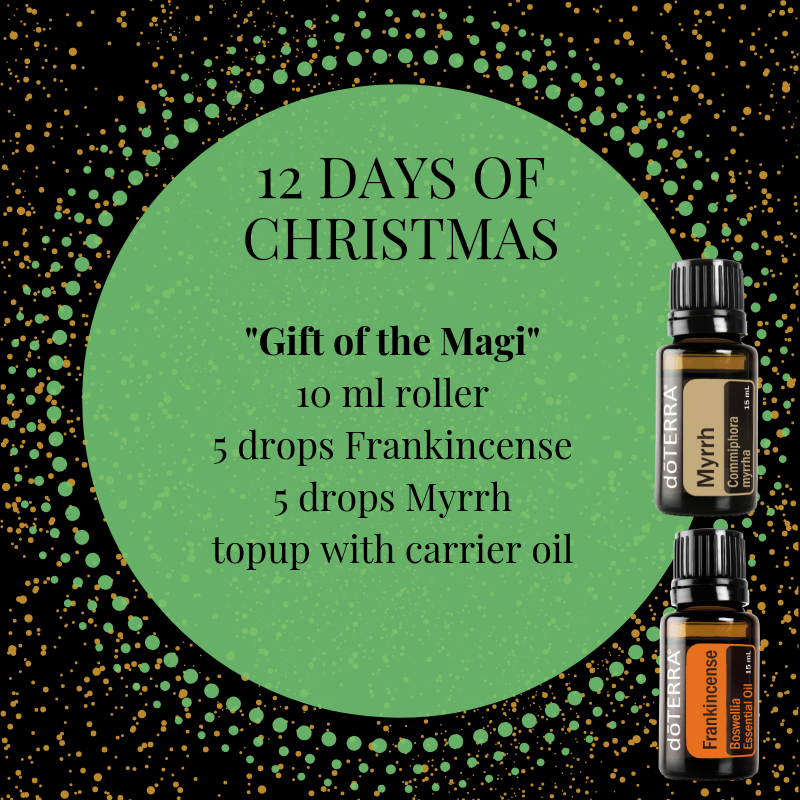 If you already have oils then grab your FREE Frankincnese this month with a 200 point order from Australia or US. If not read on! If you are new to doTERRA you will need to join as a wholesale member to access the prices above. This means you join part of our family of essential wellness customers and get many benefits beyond this one purchase! To join simply follow the instructions below but first Read my blog about the starter kits here. Select your country, Language and Local. You must enter my number to get access to my training, oils support, and member only Facebook groups. THEN do a happy dance!!! 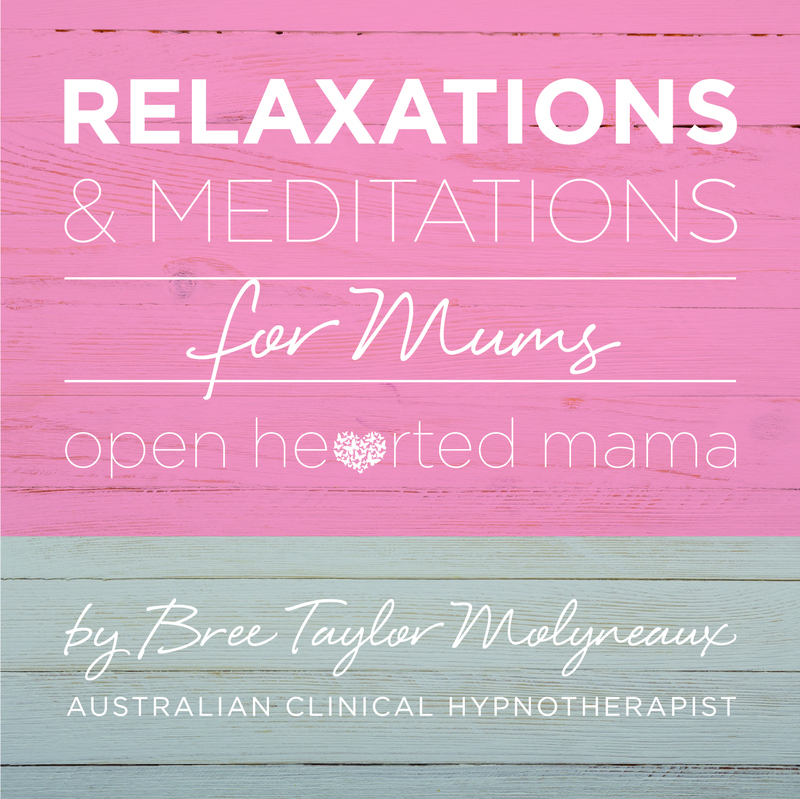 If you get stuck contact me: connect(at)breetaylormolyneaux.com.au as I am here to help!! Once your order is placed you can join my tribe of essential oil lovers on Facebook, get access to great support, training and recipes from me. I can’t wait to welcome you on this oily journey.